As you know, I recently decided I want to ‘retire’ early – within the next ten years, please – so that I can write my children’s book and listen to podcasts all day. The path to early retirement means spending less money, earning more, and investing the difference. I mentioned that I’m trying to boost my income through side hustles (how can you hate that show?!). 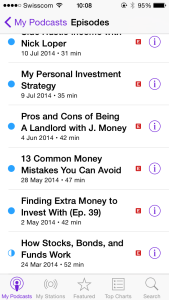 Are there other free podcasts that can help me? In this letter I’ll compare two I tried out – Investtalk and Listen, Money Matters. I think the host of this show is a mutual fund manager, or at least a financial advisor. He’s a friendly guy who knows a lot but isn’t afraid to say when he’s unsure. I like that. The show has fans who phone in live, which hurts my brain. How did they know I’d be listening just at that moment? When I pause the show do they just wait on the phone until I’m ready? Anyway, the problem is that the advice and way of thinking about investing is prehistoric. Modern research explicitly states that the following things are bad: trying to ‘time the market’ (by waiting for a dip before investing); stock-picking (choosing a single company to invest in because you think you’re smarter than everyone else in the world); and fees (paid to mutual fund managers, for example). What does the guy tell people to do? Time the market, pick stocks, and invest in mutual funds. Why do I like it? There are two hosts – one who acts a bit clueless about money and one who patiently explains things to him. They have good rapport – it’s good radio – I’m 100% sure you’ll learn something if you give them a chance. 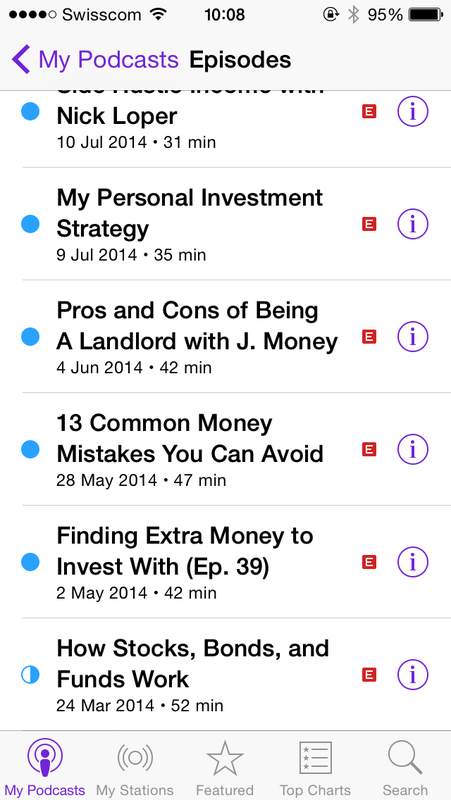 The topics seem especially useful for people who are new to investing or who find the whole money thing intimidating. It’s weird that it’s such an approachable show because the intro music is this blast of heavy metal. Sigh. Why can’t every make perfect decisions all the time, like me? So, in reply to your post about The Bugle… I’m not a fan! I tried an episode a few months ago and they were just irritating. Strange because I’m a John Oliver fan. The text you transcribed for the episode didn’t provoke the slightest twinge of my lip. But in the interest of fairness, maybe I’ll try another episode. p.s. 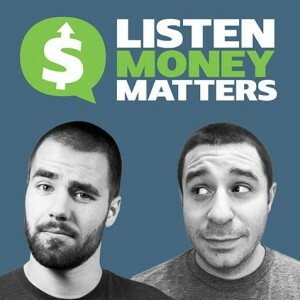 I just found out that the Listen Money Matters guys record a show EVERY DAY. Holy crap. I admire that, but I don’t like it – I don’t want to subscribe to a podcast that updates so often. It’d take me an hour a day just to keep afloat.